Please contact the HPE team at SAA to assist in your nomination. Please do so before 28th April 2014, 2359H. The Sports Excellence Scholarship (spexScholarship) provides an enhanced level of support for athletes within the High Performance Sports (HPS) pathway. 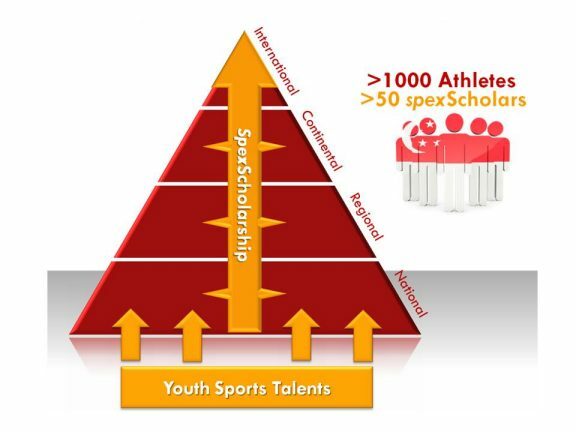 spexScholarship includes both financial and programmatic support to prepare athletes to excel at the Major Games. In addition to developing athletes’ sporting potential, the spexScholarship will also assist athletes in their education, career, and personal development.